Over the Christmas holiday, my mother in law was apparently cleaning out her collection of old cookbooks and offered me the chance to peruse and grab what I wanted. There were a few that caught my eye but most notably, an old McCall's Cookie Collection cookbook from 1965. Mom was four years old when this cookbook came out so I would wager that these were the types of cookies that my Grandma and Great Grandma were whipping up. I thought I would take a stab at some of the cookie recipes, substituting when it made sense, and share some of them with you all. There are so many delightful recipes but I thought I would start with one that has my absolute favorite ingredient, COFFEE. 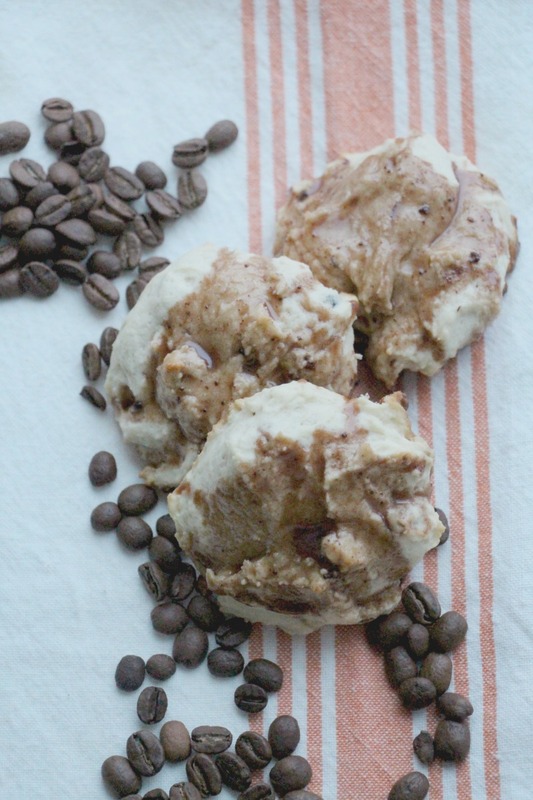 The idea was rattling around my head for a little while and when Atlas Coffee Club wanted to get in on the recipe action, I knew that I had to make some Coffee Drop Cookies with a Coffee Glaze, using their whole bean blend. I was able to use ingredients I already had in my pantry so no fancy things needed. So let's get started: Turn up that Preheat that oven to 375 degrees and lightly grease some cookie sheets. In a medium bowl, with your handheld mixer at medium speed, beat butter with sugar until light. Add egg; bet until light + fluffy. Mix the ground coffee with 2 tablespoons of hot water. Stir into butter mixture. Beat in flour and milk alternately. Stir in the chopped nuts. Drop, by heaping teaspoonfuls, 2 inches apart onto the the cookie sheets. Bake 8 to 10 minutes or until they are lightly browned. Let the cookies cool. While cookies are cooling, let's make the glaze: In a small bowl, add sugar and coffee alternately to butter, stirring until smooth. Stir in cocoa. Spread the glaze on the cookie and let harden before serving. This recipe is so easy that I can't wait to bake more. The cookies are a little rustic but I suppose that's what you're getting from a cookbook of years gone by :-) but I seriously loved playing with the recipe and MANY THANKS to Atlas Coffee Club for supplying the delicious coffee for drinking + baking! 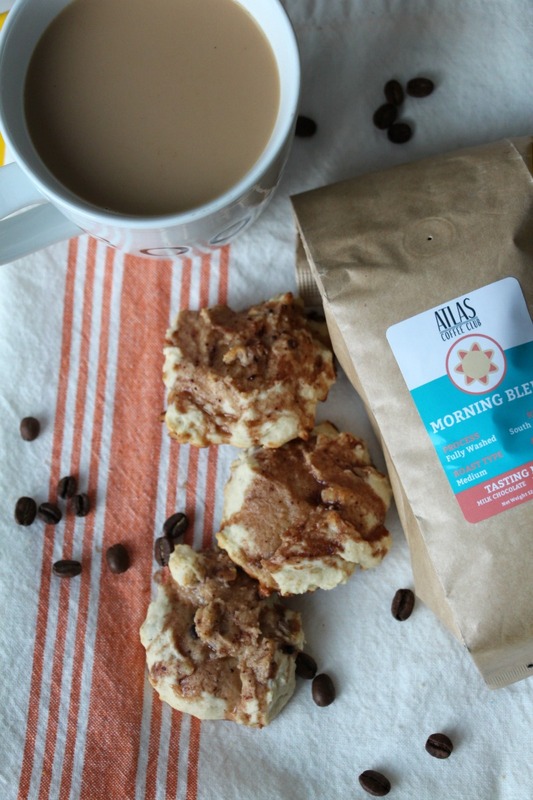 If you haven't checked out the coffee from Atlas, you should definitely take a look. Their curated blends are delicious, you have my word on that!